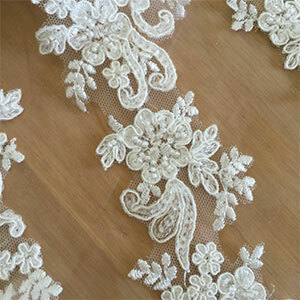 2″ Embroidered Beaded Lace Trim. Price for one yard. 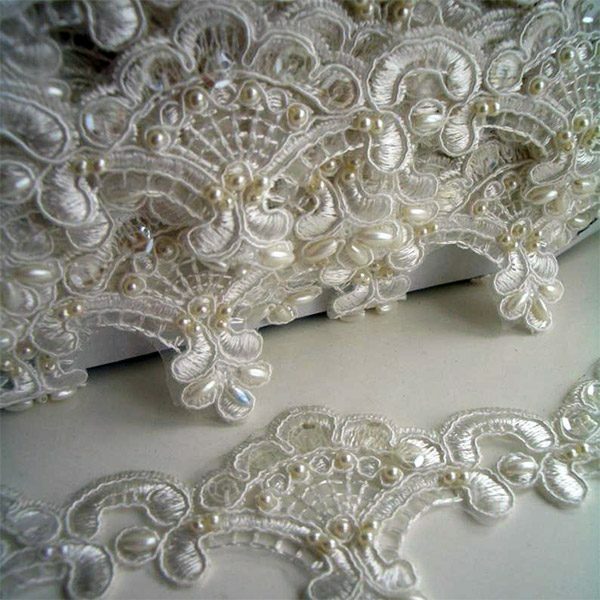 5cm Beaded Alencon Scalloped Lace Trim. Price per yard. 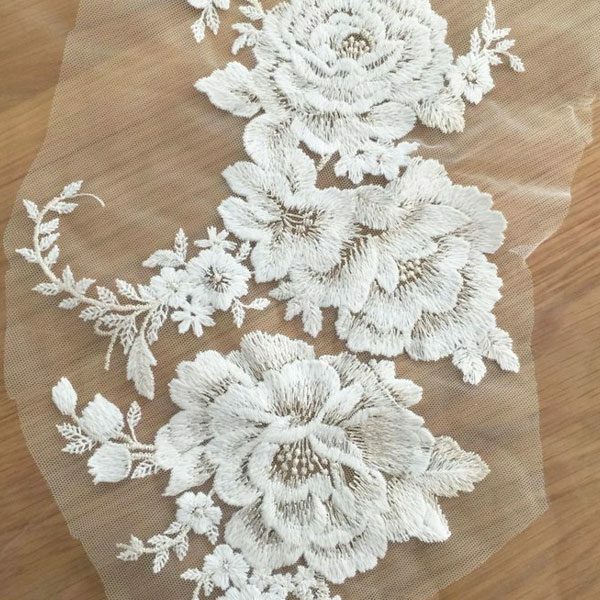 Embroidered Lace Applique. Price per approximate 15″ piece. Matching trim available. 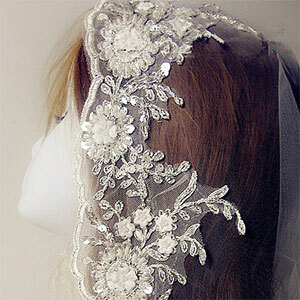 Hand Sewn Beaded Lace, Sequin, and Silver Embroidered 14cm Wide Trim (matching applique available). Price for one yard.